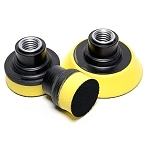 The FLEX Rotary Mini Foam Pads for the PE-8 are available in 1” 2” and 3” diameter and are specially designed for use with the FLEX PE8 Rotary Polisher. The FLEX Rotary Foam Pads utilize several design features that allow them to run a lot smoother and cooler than traditional a foam pads. FLEX Rotary Foam Pads and their mini footprint will give you the ability to polish components of vehicles that you never thought possible! These FLEX Rotary Foam Pads feature a hook and loop material that is precision cut for easy centering on the appropriately chosen FLEX Rotary Backing Plate. The FLEX Rotary Foam Pads are constructed using an open-cell design that increases longevity by reducing heat formed. Compared to more of a closed-cell design, these Foam Pads enable air to pass through them to cool the adhesives that are used to attach the backing material to the foam pad itself. These FLEX Rotary Foam Pads will not only out-perform other foam polishing and compound pads of their type, but they will last longer as well. These Flex Yellow Backing Pads are outfitted with a hook face and will work with the Flex 1, 2 and 3 foam pads. This set includes 1 each of the 1, 2 and 3 backing pad designed specifically for the new Flex PE8 Mini Polisher. 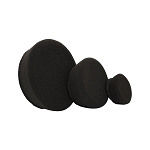 These Flex PE8 Mini Buffer Black Pads are best used for application of finishing polish, wax, or sealants. Use these Flex mini pads to attain professional results with minimal effort. These mini polishing pads also deliver superb compression and conformity to contours and light buff areas. These Green Flex Mini Buffer Pads are best used gloss enhancement on clear coat or non-clear coat. 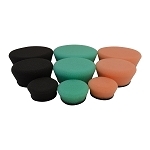 These Flex mini pads area a very versatile pad, working well on car wash scratches, hard wash scratches, light oxidation, and more. These Flex PE8 Mini Rotary Buffer Orange Pads are very firm and best used for aggressive cutting action such as on fiberglass, gel coat applications, or heavy oxidized surfaces. 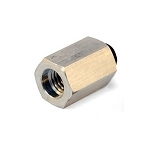 Additionally, color sanding scratches can be removed easily with appropriate compounds. When purchasing this package of Flex PE8 Mini Pads, you will receive a total of 9 pads. This package is perfect for the auto detailer who is constantly doing more than just a wash and wax and needing to re-order pads on a consistent basis! When purchasing this package of Flex PE8 Kompakt Mini Pads and Backing Plates, you will receive a total of 9 pads and 3 backing plates. This package is perfect for the auto detailer who is constantly doing more than just a wash and wax and needing to re-order pads on a consistent basis!